Add an element of comfort to your space that no one will be able to resist with this reclining loveseat. 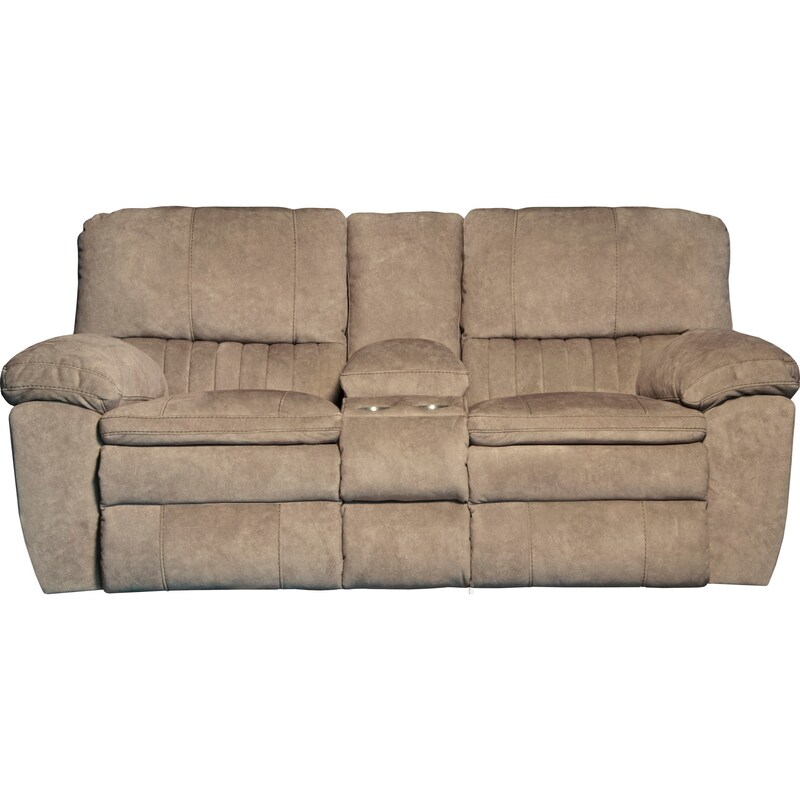 This piece features power, lay flat recline so you can relax with the mere touch of a button. Style elements are casual with plush cushions on the headrests, arms, seats and footrests. A center console with cup holders and a storage console completes this loveseat with a convenient element. The Reyes Power Lay Flat Reclining Console Loveseat by Catnapper at Zak's Home in the Tri-Cities, Johnson City, Tennessee area. Product availability may vary. Contact us for the most current availability on this product. The Reyes collection is a great option if you are looking for Casual furniture in the Tri-Cities, Johnson City, Tennessee area. Browse other items in the Reyes collection from Zak's Home in the Tri-Cities, Johnson City, Tennessee area.